Mini firecracker pop rock cake are crackling with flavor. 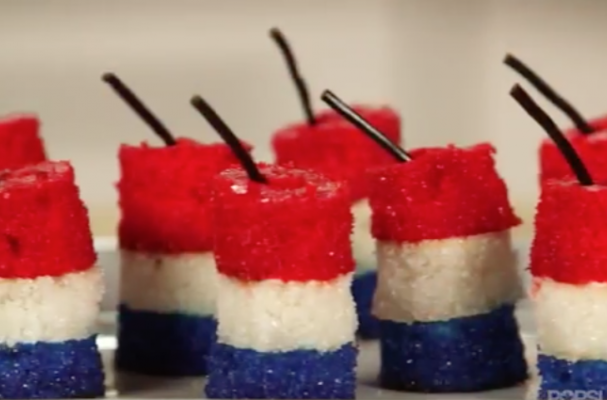 This colorful 4th of July dessert is a great way to involve the whole family in the festivities. Boxed cake mix is the secret to crafting this treat because it makes for quick and easy preparation. The Pop Rocks mixed with the sanding sugar truly make this dessert special, especially for the kiddos. While they are watching fireworks blast in the sky, they are also experiencing their own party.